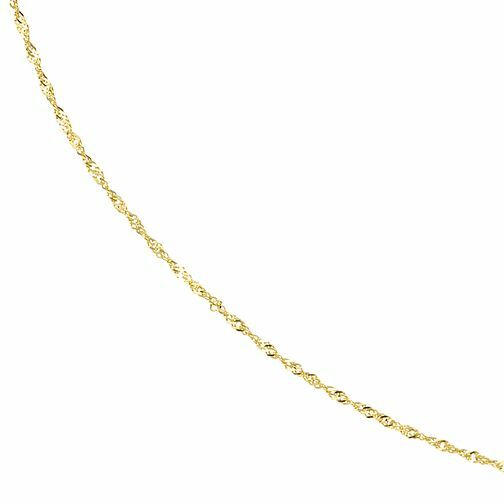 This 9 carat yellow gold Singapore chain necklace is the perfect jewellery box essential. Its sparkle design makes this necklace the ideal accessory for any look, giving simple elegance and grace to any style. 9ct Yellow Gold Singapore Sparkle Chain Necklace is rated 4.3 out of 5 by 3. Rated 5 out of 5 by Anonymous from Great service Ordered as a late Christmas present, delivery was very fast and got the product on time.